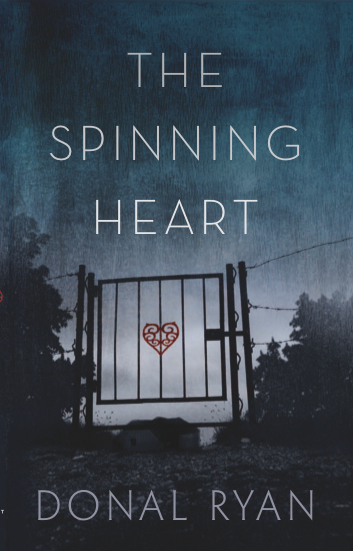 Where did the inspiration for The Spinning Heart come from? I’d been thinking for years about writing a novel in the polyphonic form, thinking that if I ever did, it’d be burnt or shredded like nearly everything else I’d ever written. I started once, years ago, to write a novel set in an apartment complex, where an overarching narrative was to be constructed from a chorus of voices. But it was terrible. A few pages in I started to hate it, and to hate myself for not being able to do this one thing for which I knew I had some bit of talent. In early 2009, I finished a novel called The Thing About December, my wife having dragged it out of me, and I was imbued with a confidence that I knew wouldn’t last, and so I thought I’d better convert this evanescent confidence into solid words: The Spinning Heart was an exercise in sustenance. Did you find it difficult to balance writing with a full-time job? It was surprisingly easy. I wrote The Thing About December over a year of evenings in a bedroom upstairs. My wife Anne Marie was pregnant for half that year with our first child. There was a bit of a break when Thomas came along, then I was back in my 9pm to midnight routine and it was largely finished by Christmas. I started into The Spinning Heart shortly afterwards. Lucy came along in the middle of that but she wasn’t a demanding baby at all. My job was very involving, which was good, as it prevented me from over-thinking my writing and talking myself out of it, or into mad tangents. Did you try to get an agent, or did you submit straight to publishers? I approached nearly every agent in Ireland and got no interest. Then I started on the UK and got no interest. Then I started on America and a lovely lady called Tracy Brennan took me on. She had no luck placing me, so we didn’t renew our contract. We’re still in touch, though. Marianne Gunn O’Connor deals with rights for my first two novels for The Lilliput Press and she does an amazing job. Marianne did my deal with Doubleday Ireland, part of Penguin Random House, and has sold language rights in several territories. I have a new three-book deal now with Penguin Random House. Anne Marie, my wife, acts as my agent, manager, PA, PR, shoe/keys/wallet/phone-finder, editor, mentor, encourager, and back-down-to-Earth bringer. How many rejections did you receive, and what sort of feedback did you get? I used the old scatter-gun approach, and wrote to a total of 48 publishers and agents. I received 47 rejections spread across a few years. But I can say with pride that the first publisher I ever wrote to, Antony Farrell of The Lilliput Press, accepted me. There was just a bit of a gap between his receipt of my manuscript and our first meeting, during which time I’d asked everybody else in the Writers’ and Artists’ Yearbook who looked vaguely promising to represent or publish me. I had received serious interest from Brian Langan at Doubleday Ireland (who is now my editor) before I got a call from The Lilliput Press. He told me what he thought of my writing and that he had to have various colleagues read it before he and Eoin McHugh could come back to me with anything concrete offer-wise. But Antony was first to put a contract before me, and I ended up being co-published by The Lilliput Press and Doubleday Ireland, which in many ways was a dream scenario. Could you recount how The Thing About December was discovered? The Thing About December was the manuscript I sent to Antony Farrell. Sarah Davis-Goff, who worked at The Lilliput Press at the time, happened upon it in a pile of submissions in their reading room, and was very taken with it. She showed it to her colleague Daniel Caffrey, and they both lobbied Antony on the book’s behalf. Eventually he agreed to meet me, and Daniel rang and invited me to Stoneybatter. I had just finished The Spinning Heart at this stage, and had been galvanised by Brian Langan’s assessment of it, and so brought it with me. Antony rang me a few days after that meeting and formally offered to publish both novels. How did it feel when you were offered a publishing deal? Antony made a tacit offer on the day of our first meeting. I played it cool, then went out to my car, rang Anne Marie, told her I was fairly sure I was going to be published, and started crying. I was a bit embarrassed. A few nights later we drank champagne at the kitchen table after the kids were in bed, and it started to properly sink in. Was the advance enough to change your lifestyle? I wasn’t in a position to take time out from my full-time job as a labour inspector with the National Employment Rights Authority until last March, after doing a new three-book deal with Penguin Random House. I do miss my job, because I loved it, it was interesting and fulfilling and my colleagues were all close friends, but the hours were long and it was often very draining. I’m earning enough as a writer now to do it full-time for a few years at least. I have an office and colleagues again, as I currently hold the Arts Council Writer-in Residence fellowship at the University of Limerick, which is a huge honour and an amazing boon for my writing. It’s great to be here, writing in the mornings and meeting the amazing MA in Creative Writing students in the afternoons, and to work with writers like Joseph O’Connor, Giles Foden and Sarah Moore-Fitzgerald. If I’d been asked five years ago what my dream scenario was, it would have been this. If I write 300 words in a day that seem usable I’m pretty happy. Having said that, I’ve written up to 3,000. Mostly drivel, though. Last year I did around 60 readings, and I really enjoyed each one. I’m not going to do as many this year but they’re always really enjoyable. There’s a real collegial atmosphere among Irish writers and there’s nothing like meeting readers; it’s such a thrill to hear first-hand a person’s reaction to something you’ve created. Unless it’s a negative reaction. A woman once told me, publicly, that I was a disgrace, and I ‘had the English all laughing at us’! I was upset. I only like hearing good stuff. Unqualified praise only, please. At least to my face. What would you say has been the highlight of your writing career so far? There have been so many great moments that it’s hard to say. Joseph O’Connor introduced me at a reading I did in the University of Limerick a few years ago and that was a massive thrill. It was the first time I’d met him, I was a huge fan, and hadn’t been expecting him to be there. He said such lovely things that I was nearly lost for words. Recently, the second years at the Gaiety School of Acting staged The Spinning Heart for one of their modules and watching them was a sublime experience. I could hardly believe my eyes and ears. Later that day I found out that The Spinning Heart was going to be on the Leaving Cert syllabus. A woman told me once that her son was just like Johnsey Cunliffe [the main character of The Thing About December] and that the book meant an awful lot to her – she said it was as though he had been explained, somehow, to other people. These beautiful moments happen along sometimes. But I don’t think anything will ever match the experience of watching Anne Marie’s reaction to the first draft of The Thing About December. What’s the best piece of writing advice you’ve received along the way? Paul Lynch reminds me all the the time that the only thing that should concern a writer is writing. 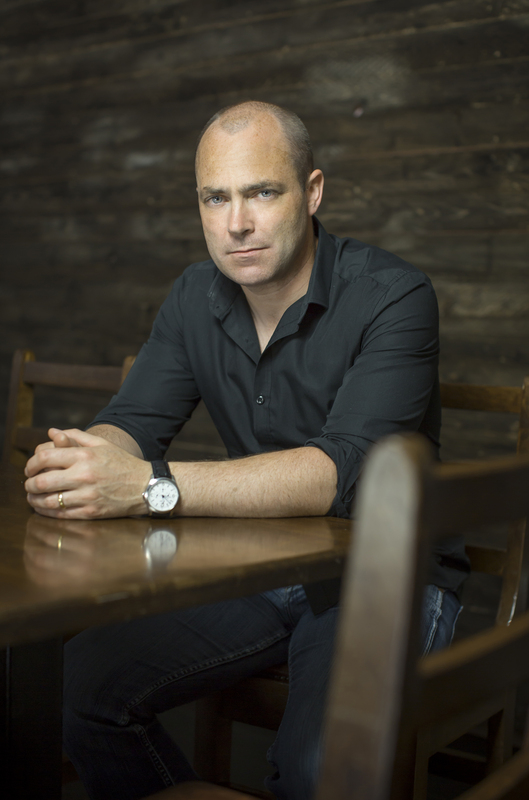 Donal Ryan’s first novel, The Spinning Heart, was longlisted for the Man Booker Prize in 2013, and also won the Guardian First Book Award that year. "My agent rang to say that... Penguin was interested"